One app to manage notifications and services. Is there a better alternative to Manageyum? Is Manageyum really the best app in Productivity category? 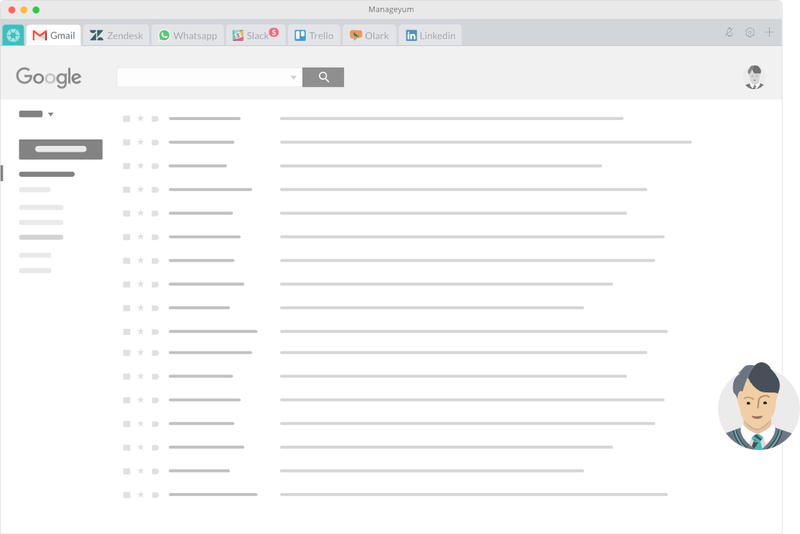 Will Manageyum work good on macOS 10.13.4? 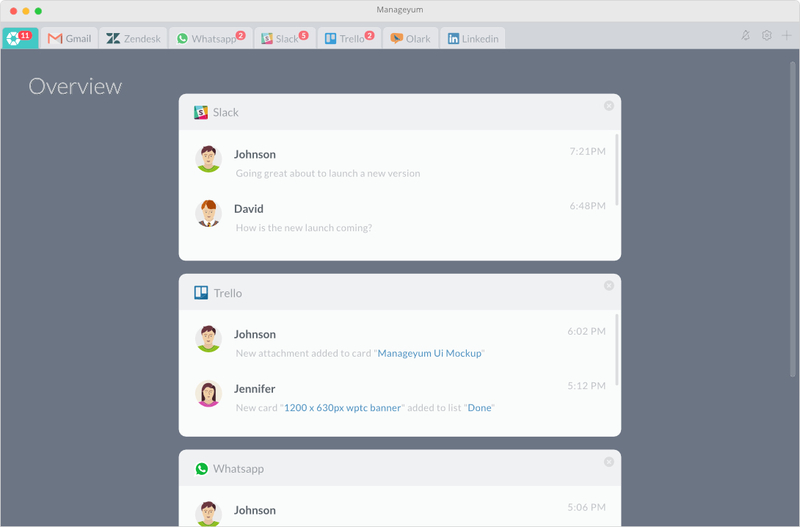 Manageyum lets you manage all your notifications and services from a single app. 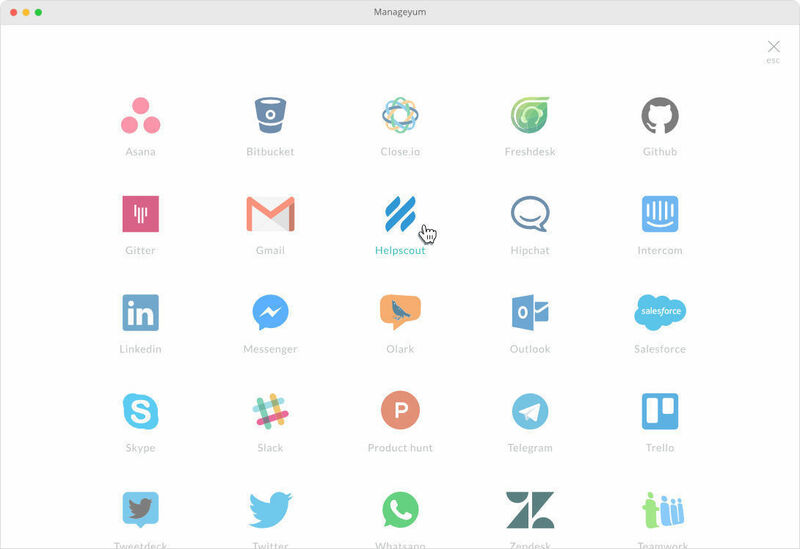 It supports integrations with Gmail, Freshdesk, Intercom, Slack, Hipchat, Asana, Bitbucket, Linkedin, Salesforce, Olark, Whatsapp and more. SSL Certificate Fix - Apps like Trello, Todoist, Asana, Helpscout and more didn't work because of that. Manageyum needs a rating. Be the first to rate this app and get the discussion started!